Call A1 Overseas International at 1-800-450-5319 to discuss your upcoming shipment to Madagascar or fill out our form for a FREE quote! There are a number of different overseas auto shipping companies competing for your business, but A1 Overseas International has been thriving since 1992. A1 Overseas International is arguably the most reputable global automobile shipping service in the world so if you plan on visiting Madagascar, or you are moving there, having your own vehicle will make transitioning much easier. Requirements to import a vehicle in Madagascar vary depending on the vehicle you are trying to transport and you might be subject to fees based on the make and model. 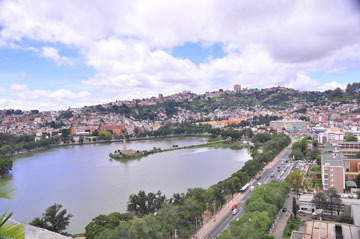 To have your vehicle imported into Madagascar, you will need to bring your driver's license, international car insurance, commercial invoice. Once the vehicle has been delivered, producing the proper paperwork to customs is all you will have to do. Roll on Roll off Shipping- RO/RO is the most cost efficient way to ship a vehicle overseas. Container Shipping- This method of shipping and air travel are your only other choices. Typically, People will select this method of transportation because the price is reasonable for its convenience. Air Shipping- As stated above, this is another shipping option which is not commonly utilized. Usually, transporting a vehicle by plane is very costly, but it is also the quickest way to have a vehicle transported into another country. When you compare having your own vehicle in a foreign country to relying on public transportation, there is no question that shipping your vehicle overseas is a wise move. A1 Overseas International specializes in international auto shipping which helps prevent delays and avoid hidden charges. For additional peace of mind, spend a sufficient amount of time inspecting your vehicle and preparing it for international travel.